So what is water-based discharge printing? To properly print water based inks you must require skill, experience, and the proper equipment. Lucky for you, we’ve got you covered! Water-Based Ink: The industry term “hand” is used to describe how soft the print feels on the decorated apparel. Water-based inks are printed into the shirt as opposed to on top of the shirt like our standard inks. 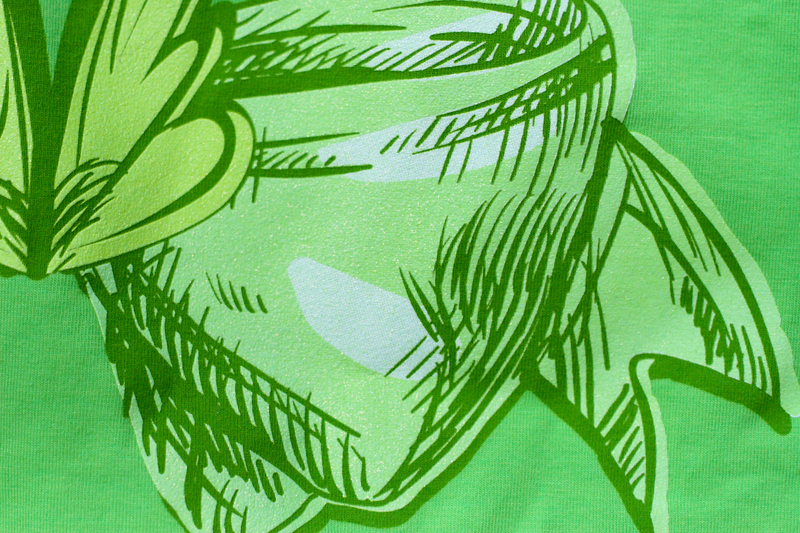 Printing into the apparel with the super soft inks results in an extremely soft hand. If you are seeking a soft, breathable print, then water based inks are the best option. Discharge Ink: Discharge ink is a water based ink that is used on apparel that is darker than the ink that is printed. Discharge ink removes the dye of the shirt and leaving the natural color of the garment once screen printed. Pigment additives can be added to the water based discharge ink leaving the color of the pigments in replace of the original color of the garment. 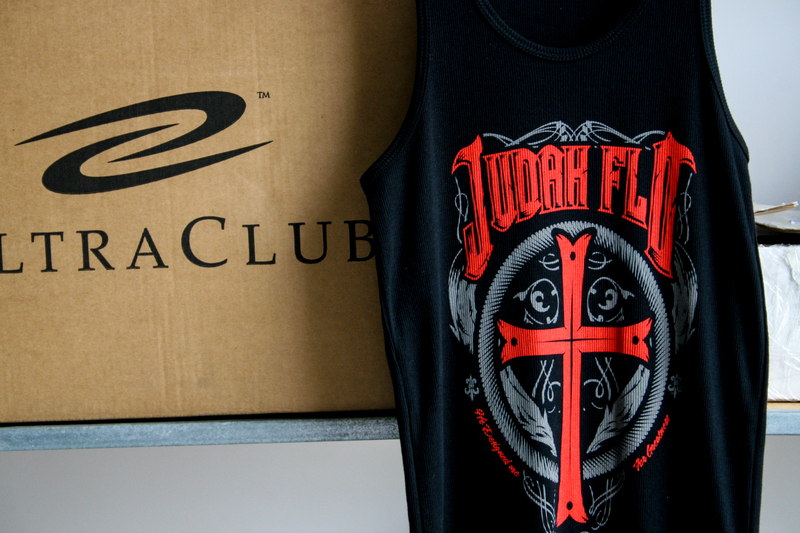 Discharge ink is going to leave the softest feel for a colored print on dark apparel. Pantone Matching: Due to the nature of water-based and discharge screen printing we cannot guarantee exact pantone color matches. Water-based and discharge inks are able to print on a wide variety of fabrics. However, the vibrancy and look of the print is directly dependent on what the material is made out of. We recommend printing on 100% cotton when printing discharge ink. Printing on 100% cotton will achieve the brightest print possible. We can also print on blended apparel but the results will vary. Blended apparel will cause a variety of “looks”. You can see some examples of what to expect when printing on apparel such as: 50/50 blends, 60/40 blends, tri-blends, as well as 100% cotton. Although the picture examples are a good reference, the color of the apparel will also play an important role on the result of the screen printing. Printing apparel other than 100% cotton. Athletic apparel and t-shirts that are mostly polyester. If the design requires the brightest colors available. To be a good partner, we do not charge for simple design file separation, which will get your file ready for screen printing. If our team feels your design will take us a little time to disect, complex designs are billed at $45/hour but not without customer consent. In most screen printing projects, the price will increase based on the number of colors. For water-based/discharge printing, add $.40 for the first color and $.20 for each additional color per print location. For example, a 2 color front and back printed t-shirt using water-based/discharge techniques would be $.80 for the front and $.40 for the back. Look at our Water-Based/Discharge Portfolio!